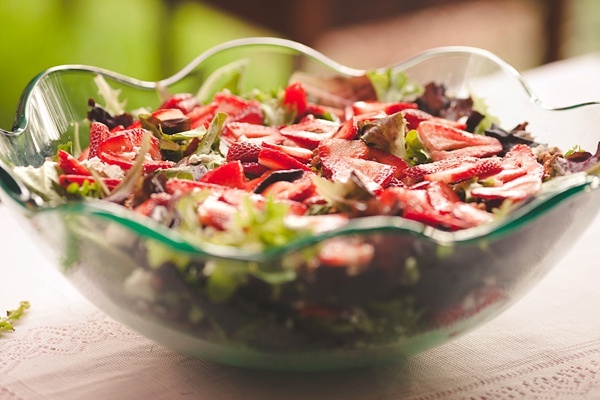 With tomorrow being Pick Strawberries Day and the Pungo Strawberry Festival in Virginia Beach on May 28-29th, that means strawberry season is in full swing here in Virginia! 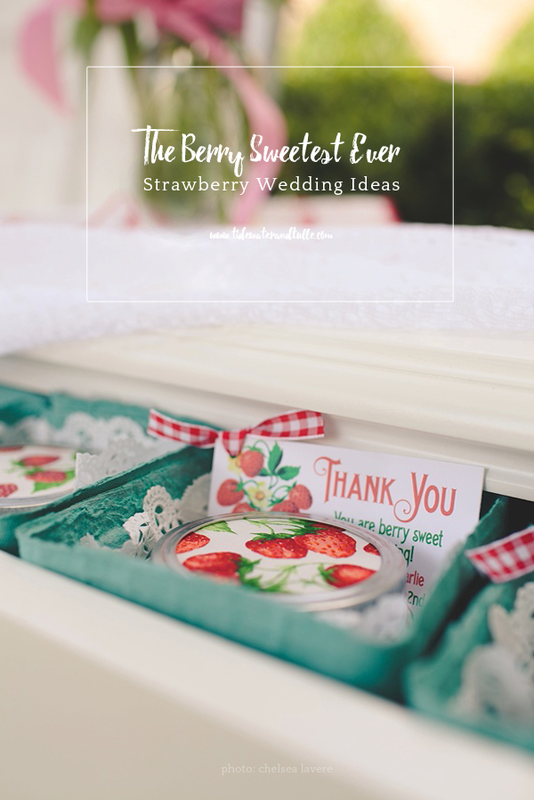 Whether you're having a strawberry-themed bridal shower or buying out all of the red gingham fabric locally to make your favors, we have picked the "berry" best inspiration from around the web for you strawberry lovers out there! 2. If you have a sweet tooth and a hankering for all things DIY, this strawberry pie pops tutorial on Chic Vintage Brides is going to hit the spot for you! 3. Rustic, romantic, and downright adorable. This strawberry fields wedding inspiration on Polka Dot Bride is a must-see! Because anything that's actually set up in a beautiful strawberry field is a good one. 4. Looking for ways that strawberries can be used at a bridesmaid brunch? Love Inc. featured some fab strawberry-infused menu ideas such as mimoma bar toppings, strawberry shortcake bites, and even granola parfait garnish. 5. Virginia Beach isn't the only place with a Strawberry Festival! Our Florida friends also celebrate the red berry, and this playful strawberry-lovin' engagement session on Marry Me Tampa Bay is the sweetest! 6. We think strawberries and naked cakes go together like PB&SJ. And this "Best Day Ever" strawberry-dappled cake here on Tidewater and Tulle makes our mouths water. 7. Looking for strawberry-inspired cocktail or punch ideas for the wedding day or bridal shower? Polka Dot Bride is strawberry central with their Strawberry Julep and Pomegranate Punch with Strawberry Ice Blocks receipes. Mmmmmm. 8. 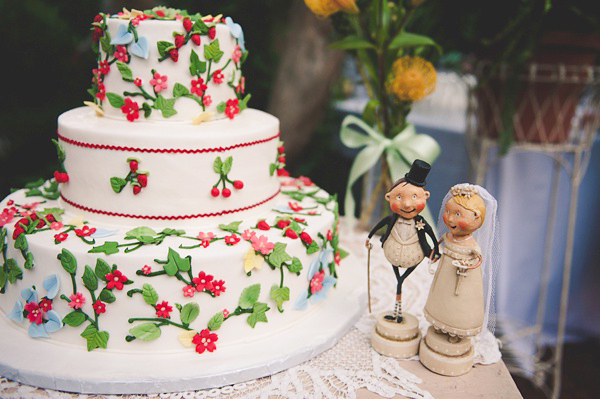 This garden picnic-inspired wedding in Virginia Beach on Artfully Wed hit all the sweet spots! From a mini-fondant strawberry dappled cake to homemade strawberry jam to a Southern biscuit bar with strawberry salad and toppings, there are ideas galore to pick from here! 9. It really can't get any cuter with this strawberry wax seal stamp on Etsy. They even come in wax seal sticker form for those who aren't DIYers! It's just what your wedding invitation needs to set the right summery tone! 10. Strawberry brownie skewers with chocolate drizzle on One Little Project. No other words needed for this one. Photography by Bit of Ivory Photography published on Artfully Wed. Some of the above links are affiliate-connected and purchasing through these links helps support future blog projects. You can find our full affiliate disclosure policy here on Tidewater and Tulle.